February, a time when much of the country is covered in snow drifts, is a time when many start feeling the desire to head somewhere warmer for a bit of an escape from the drab. Summer is still a long way out and the holidays are far enough behind us that we are ready for adventure. Traveling in mid-winter and before the spring break rush can often mean cheaper prices, but not always as some warmer destinations see crowds during this time period due to absolutely stunning weather. Scroll through our list of great February destinations to plan your next adventure and escape the daily grind. Big Sur is a rugged section of California’s Pacific coast known for its stunning natural beauty and isolated feel. The area is traveled by State Route 1, which is a narrow and windy yet incredibly beautiful drive. 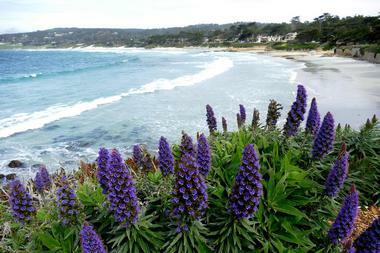 The views include seaside cliffs and the misty oceanfront. Along the way you’ll find a number of state parks, which are perfect for further exploring the outdoors by hiking, camping, and enjoying the many beaches. February is a great time to visit as the weather is pleasant and you might just be lucky enough to spot a gray whale as they migrate down the coastline from December to February. Charlottesville is a college town in Virginia. The city is most popular among tourists as the gateway to visiting Shenandoah National Park, which occupies a section of the beautiful Blue Ridge Mountains. History buffs will find plenty to suit their fancy here, especially if they are fond of US Presidential history. President Thomas Jefferson’s mountain-top mansion, restored slave quarters, and plantation, Monticello, is located just outside town. 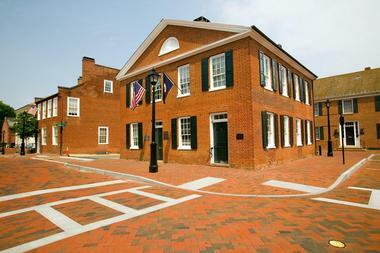 You’ll also find the home of President James Monroe, which still has many of its original items inside. While Charlottesville can still be chilly in February, there is plenty to explore, and you may even get to see the beautiful mountains blanketed in snow, which is a magical sight in itself. 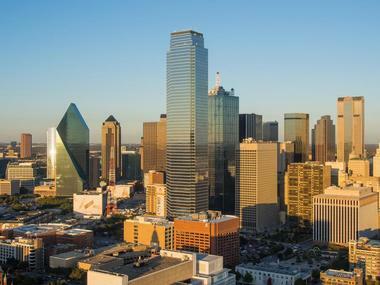 Dallas is a modern metropolitan city in north Texas. It is the main cultural and economical hub of the region and draws many visitors each year to its museums, historical sites, world-class events, and other attractions. One of the city’s most famous sites is the location of President John F. Kennedy’s assassination, which has been memorialized in the Sixth Floor Museum at Dealey Plaza and the John Fitzgerald Kennedy Memorial. Those interested in art will find thousands of years of art covered in the Dallas Museum of Art and the Crow Collection of Asian Art. Dallas World Aquarium, the Dallas Arboretum and Botanical Gardens, and the Texas Discovery Gardens are all popular among families and nature lovers. 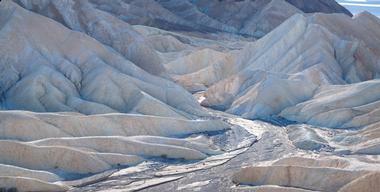 Death Valley National Park is a beautiful preserved area on the border between the US states of Nevada and California. The park is best known as having the lowest point in North America, and it is a place of extremes, with soaring summer temperatures reaching record highs, mountaintops graced with snow, and lush green areas filled with plants and wildlife. Titus Canyon, with its ghost town and vibrant colorful rocks, is one of the more popular attractions, as are the salt flats of Badwater Basin. February is right in the middle of high-season for Death Valley, with mild and comfortable temperatures and the best chance to see beautiful desert wildflowers. The Florida Keys are a chain of tropical islands that extend about 120 miles off Florida’s southern tip. The Keys are best known for their fishing and boating excursions as well as ample opportunities for scuba diving and snorkeling. There are also a number of interesting historical sites. The most southern city is Key West, which is famous for its nightlife as well as for having been the home of writer Ernest Hemingway. February is a good time to visit, with mild daytime temperatures in the mid 70s and fewer tourists than winter time, which is the island chain’s peak season. 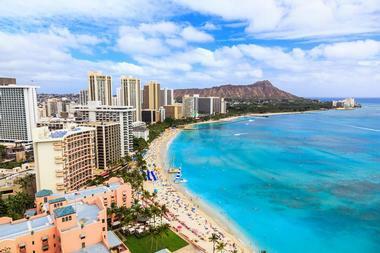 Honolulu is the capital city of Hawaii, located on the south shore of the island of Oahu. The city’s Waikiki neighborhood is one of the most popular vacation spots in the island chain, with a stunning crescent-shaped beach, world-class dining, shopping, and nightlife. You’ll also find Diamond Head Crater nearby, which is a popular destination for those who love the outdoors. Significant sites related to the island’s World War II history are also quite popular among visitors. February is a great time to visit, with warm temperatures at the beaches and less rainfall than other winter months. February also sees a below-average number of visitors to Honolulu, which may convert to lower hotel prices. 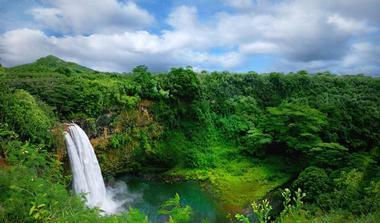 Kauai is one of the islands in the US state of Hawaii. It has gained the nickname “the Garden Isle” due to most of the island being covered with tropical rainforest. 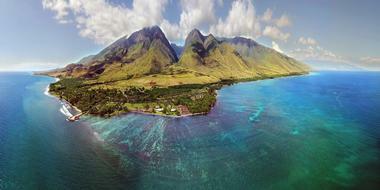 Its Na Pali coast has appeared in many Hollywood films thanks to its impressive sea cliffs and pinnacles. Those who enjoy hiking will want to visit Waimea Canyon and the Nounou Trails, which crisscross Sleeping Giant Ridge. 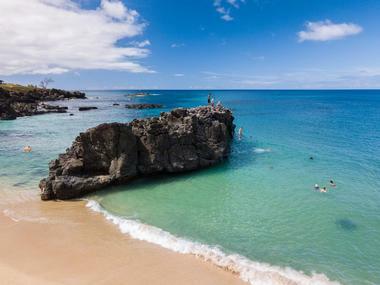 As Hawaii’s rainiest island, you’ll be hard pressed to not have rain during your visit, but it typically won’t interrupt your sightseeing and activities too much. February will mean mild temperatures, but it is a popular time of year to visit so expect to pay a premium for accommodations. 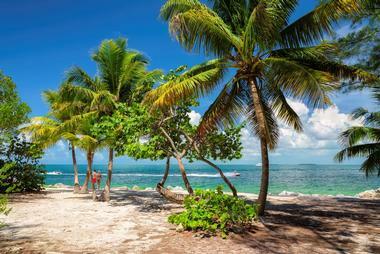 Key West is the southernmost island in the Florida Keys, and also the most southern point in the United States. The island is a popular cruise port, but many visitors come on their own as well and can be reached by driving down the Overseas Highway from the mainland. It’s known for its pastel-colored homes, which make for picture-perfect views. The beaches here are only average, but just off the coast you will find plenty of amazing snorkeling and scuba diving opportunities. February brings mild temperatures and the warmest beaches in Florida during that time of year. Winter is a popular time to visit, but by February it’s starting to taper off, so you may luck out and find a deal on a hotel. 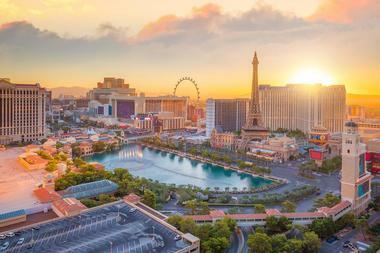 Las Vegas is a resort city set in the Mojave Desert in the US state of Nevada. The city is renowned for its raucous nightlife and 24-hour entertainment, and it is especially famous for its casinos, which are open all the time. You’ll find a number of impressive themed hotels situated along a 4-mile stretch known as The Strip. The hotels have scale replicas of some of the world’s most famous attractions, such as the Eiffel Tower and the Pyramids of Giza. You’ll also find impressive shows on offer every night, rounding out Vegas’ offerings as a city quite unlike anywhere else in the United States. February is the shoulder season, with cooler temperatures and less crowds than other times of year. 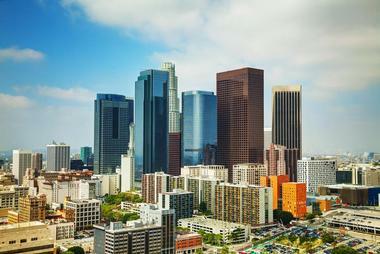 Los Angeles is a massive city in Southern California. It is most famous internationally as the home of the country’s television and film industry, with highlights such as the Hollywood Sign and motion picture studios like Universal, Paramount and Warner Brothers, which offer tours behind the scenes. The Walk of Fame and vendors selling maps to stars’ homes offer other star-studded things to do in LA. Disneyland is another popular reason to visit, especially among family travelers. You’ll also find museums, beautiful city parks, and a wide range of dining, entertainment, and cultural destinations. LA has beautiful weather year round, so it’s a great place to visit when much of the rest of the country is covered in snow and cold weather. Maui is a small island that is part of the Hawaiian chain. It features beautiful natural attractions such as large Haleakala National Park, which has the islands’ tallest volcano. The scenery at Ohe’o Gulch and the more than 30 miles of sandy beaches on the island make for a variety of ways to enjoy the outdoors. At sunset, head to Kaanapali, which is world-famous for its daily sunset cliff divers. The beaches are flanked with luxury resorts that have everything you need for a posh vacation, such as championship golfing, Hawaiian and international dining, and spas. The weather is nice in February, the Ocean Arts Festival is on, and the island is less crowded than it is during spring break, making it a great time to visit. Miami is a large cosmopolitan city at the southeastern end of the US state of Florida. The city has a strong Cuban influence due to a large influx of immigrants from the state’s southern neighbor, and so you’ll find a range of tasty Cuban cafes and cigar shops here, especially in the Little Havana neighborhood. 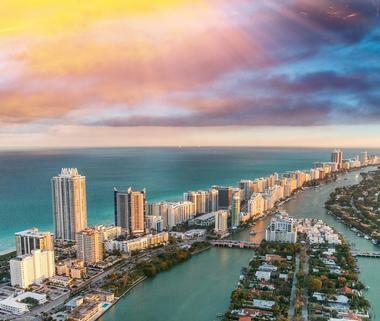 South Beach, just across Biscayne Bay from downtown, is a beach-lovers paradise, with colorful art deco architecture, white sandy beaches, and trendy nightclubs. February is a good time to visit as the weather is not as warm as later in the spring/summer, the highs are still in the 70s, and hurricanes are not likely. Naples is a city located along the southwestern Florida coast on the Gulf of Mexico. The city is known best for its high-end shops and world-class golfing. Naples Pier has become an icon of the city and is a popular spot for fishing and dolphin watching. On both sides of the pier you’ll find beautiful beaches with white sand and calm waves. Delnor Wiggins Pass State Park and Clam Pass Park are both popular places to enjoy the beach. Naples is a great place to head during February if you are hoping to enjoy a round of golf and relax on the beach. However, it’s also a popular time to go, so be prepared to pay a premium for hotels and wait for tables at restaurants. 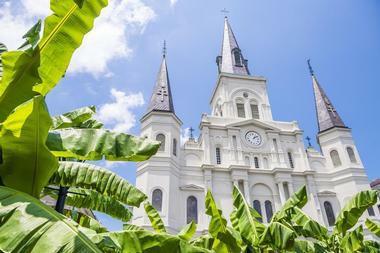 New Orleans is a city at the mouth of the Mississippi River close to the Gulf of Mexico. The city is known for its raucous 24/7 nightlife and live music scene. Foodies come here to enjoy the spicy Cajun and Creole flavors that New Orleans’ kitchens have made famous the world over. Mardi Gras is an especially popular time to visit. This festival often falls in February and is a time of especially wild partying in New Orleans as well as exciting parades and other festival events. Those who wish to experience it all should plan well in advance as accommodations become scarce and expensive during this popular holiday. Oahu is one of the islands on the Hawaiian archipelago that make up the US state of Hawaii. It is home to the capital city, Honolulu, and as such sees a large number of tourists each year as many pass through the capital on their way to the various islands. The island features iconic beaches such as Waikiki and plenty of amenities like nightclubs, restaurants, and entertainment. You’ll also find beautiful natural attractions, including Kualoa Ranch and Diamond Head Crater. Pearl Harbor lies just west of Honolulu and visitors will find memorials related to the WWII attack on the naval base. Oahu is quite busy in February, so expect crowds and high prices but absolutely stunning weather. 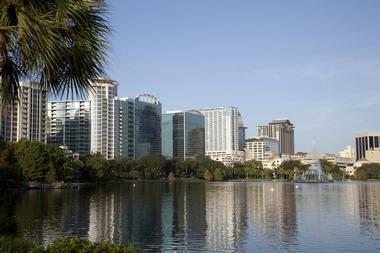 Orlando is a central Florida city with an especially dense concentration of theme parks. There are more than a dozen parks in the city, with some of the most famous being the multiple parks at Walt Disney World as well as Universal Orlando and the Wizarding World of Harry Potter. Due to the theme parks, the city is very popular with family travelers, with a large number of resorts and hotels catering specifically to families who are visiting the parks. The weather in Orlando in February is perfect, but the top tourist attractions can be quite busy during this time of year. Visit the theme parks early and book your trip well in advance if you plan to visit during this beautiful time of year. 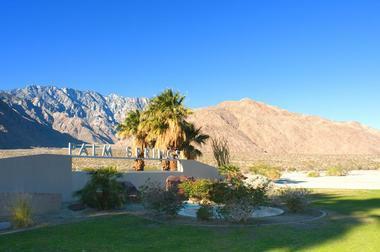 Palm Springs is a Southern California city set in the Sonoran Desert. The city is best known for its hot spring, posh hotels, spa resorts, and golf courses. Those interested in architecture will also find many interesting examples of mid-century modern homes here. The shopping district has plenty of shops to keep you browsing for hours, with vintage items and interior design shops being especially noteworthy here. The valley surrounding Palm Springs offers a wealth of outdoors activities, such as hiking, horseback riding, and mountain biking. February is a great time to visit the desert, with perfect temperatures for enjoying activities. 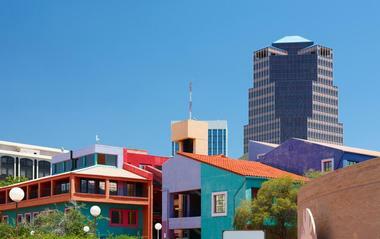 Phoenix is the sprawling metropolitan capital city of Arizona. It is best known as a destination for golfing and high-end spa retreats. Other popular attractions include the Desert Botanical Garden, South Mountain Park, Phoenix Zoo, and Tempe Town Lake. The city is sunny year round, but temperatures in the summer can become unbearable, with highs commonly well above 100°F and nighttime temperatures not much cooler. February is a great time to visit because the weather is mild, the temperatures are tolerable, and there are activities in abundance. However, it is quite a popular season among snowbirds, so expect crowds and higher prices on airfare and hotels, especially toward the end of February. Salt Lake City is the capital city of Utah. The city is popular among outdoorsmen, who come to enjoy the beautiful natural surroundings of the Utah mountains. The city is also known as the headquarters of the Mormon Church. 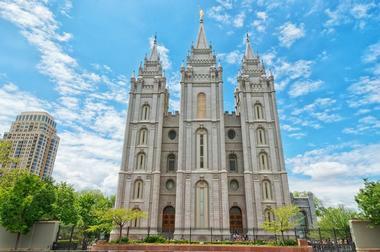 The church’s 10-acre Temple Square in downtown Salt Lake City is a sight to behold, with the centerpiece being the magnificent Salt Lake Temple. If you are lucky, you can attend a performance by the famed Mormon Tabernacle Choir, which performs in the Tabernacle on the square. February is in the middle of ski season, so those who are looking to hit the slopes in the mountains near the city will find this a great time to visit. 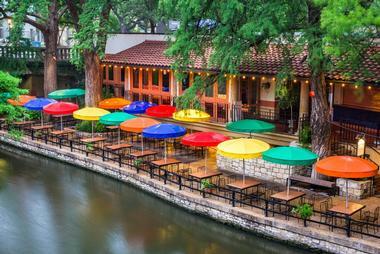 San Antonio is a large city in south-central Texas that has an interesting cultural and historical heritage. The Alamo, an 18th century Spanish mission, has been converted into a museum that details the struggle for Texas’ independence from Mexico. Strolling the pedestrian walkway along the San Antonio River in downtown is a popular pastime for visitors and locals alike as it is lined with many interesting shops and tasty cafes. Summer in San Antonio brings temperatures that are unbearable for many, so February is a popular month to visit. It also is the time of the annual San Antonio Stock Show and Rodeo, which brings many to town. 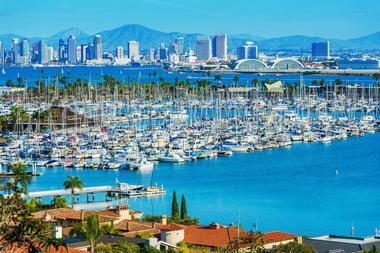 San Diego is a southern California city set on the Pacific coast just north of the border with Mexico. The city is known for its year-round warm temperatures, beaches, and beautiful parks. Balboa Park is a massive city park that is home to famous San Diego Zoo as well as art galleries, gardens, and museums. The deep water offshore has made San Diego ideal as a port, and interested visitors can visit the USS Midway, which is an aircraft carrier that has been converted into a museum and is open to the public. Even though winter is the coolest season in San Diego, don’t expect snow during your February visit. Temperatures are still mild, but it can be rainy. This is a good time of year to snag a hotel deal. 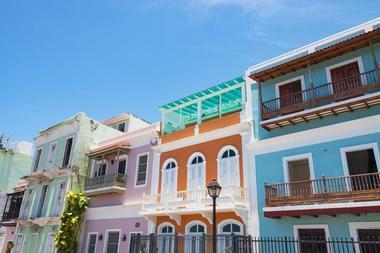 San Juan is the capital of Puerto Rico, an island territory of the United States. 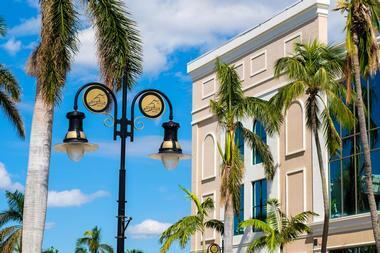 The city sits on the Atlantic coast and is home to beaches and a bustling nightlife scene. Along the Isla Verde resort strip you’ll find a wide beach and plenty of bars, casinos, and nightclubs. The historic downtown features vibrant colonial architecture, huge fortresses, and a bayside promenade known as the Paseo de la Princesa. Winter is a busy time in Puerto Rico and its easy to see why. The weather is perfect, with highs in the low 80s. Be prepared to rub elbows with other tourists though, as it’s a busy time of year. Santa Fe is the capital city of New Mexico and has a deep Native American heritage as it was inhabited by native peoples for several thousand years before settlers came. It is located in the scenic Sangre de Cristo foothills and is known for its unique Pueblo-style architecture. The city is a haven for artists, and everywhere you turn there is some sort of creative venture happening. 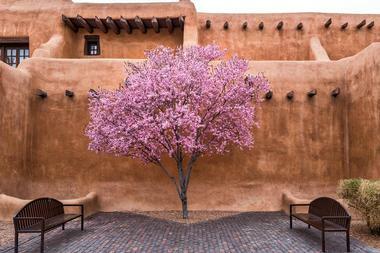 Popular attractions include the Georgia O’Keeffe Museum, the San Miguel Mission, and the Museum of International Folk Art. February is a good time to come if you hope to ski in the Sangre de Cristo Mountains, attend ARTfeast, or just make the most of cooler temperatures and low precipitation. Savannah, Georgia, is a charming historic Southern town on the Atlantic coast, just across the Savannah River from South Carolina. 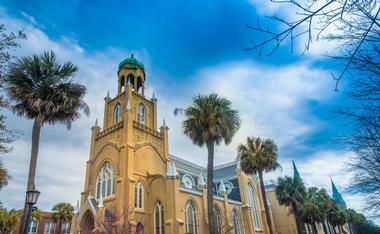 The city is known for its beautiful municipal parks, historical features such as antebellum homes, and the horse-drawn carriages that ferry passengers around the cobblestoned streets of the historic district. Stroll the ancient oak-lined paths of Forsyth Park and then take a walk through the Juliette Gordon Low Historic District, followed by comfort food at a Southern cafe and you’ll never want to leave Savannah. February is the end of Savannah’s low season, with lower temperatures and, as such, lower hotel rates. It’s a great time to beat the crowds as long as you are willing to don a jacket. 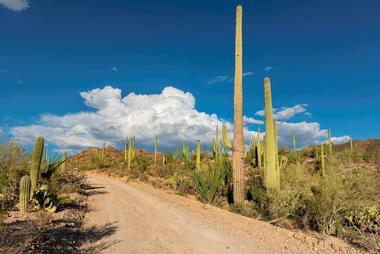 Tucson is a city set in the Sonoran Desert of Arizona. The city is surrounded by several mountain ranges, such as the Santa Catalinas. You’ll find a strong historical heritage here with a number of restored historic mansions in the El Presidio and Barrio Historic Districts. The University of Arizona is based here, and the area around campus has many unique shops, a variety of nightclubs, and quality restaurants. Saguaro National Park is easily accessible and offers stunning desert vistas with saguaro cacti and interesting ancient petroglyphs. Winter is somewhat busy in Tucson, with mild temperatures compared to much of the year and the ever-popular Gem and Mineral Show, which happens each February.